Do You Even Want Your Business to Be Big? Many e-commerce businesses are “lifestyle enterprises” – scaling up such a business would defeat the purpose of it, as it’s an enterprise that affords a certain lifestyle for the owner. They’re happy to commit a certain amount of time and effort to the business – perhaps only a few hours per day, and to run the business by themselves without employing anyone else. So, turning a small e-commerce business into a big one requires the strong desire to want this to happen – because you’ll find yourself in the initial stages committing a lot of your time or money (or both) to hot-housing your business. I mention all of this at the start because many business owners straddle between the “lifestyle business” and truly wanting to scale up. They tend to scale up to a certain size, and then often shrink back to a size they can manage. This can equate to a lot of stress for the owner, as well as wasted time, effort and money. So you want to grow your small fledgling business into something big. The desire is there, and you’re ready to commit time and money to make it happen. That’s a very good start, but it’s not enough. You can’t be big without being a brand. Being “big” is actually nothing more than a synonym for being a brand. If you are a brand, you’re big. If you’re big, you’re a brand. “Brand” has become a real buzzword since Google stated that their algorithm looked for “brand signals”, as such signals were often hallmarks of quality vendors. Instead of someone looking for a generic product like basketball shoes, they’re looking for a brand name that sells basketball shoes. The quality signal is obvious – they want a particular brand of basketball shoes, not just any pair. Being a brand is much more than pleasing Google, however good that is. Being a brand is getting your customers to market your products for you (through word of mouth). It’s about repeat business. It’s about creating an aura that makes your products (and your company) something that people want to talk about, not just buy / buy from. That kind of marketing is the Holy Grail for any advertiser or marketer. First and foremost, being a brand is about providing high quality products and/or services. And when I say products, I do NOT mean commodity products that thousands of other vendors sell. These will be products that are either unique, or the supplier only has a handful of retailers selling them. Unique / bespoke products will mean you’re manufacturing it yourself, therefore have complete control over the quality and utility of such a product. If you rely on suppliers, then you can still create a unique e-commerce website by selling on behalf of a number of suppliers – the overall site is a unique collection of products not available elsewhere. Of course, if you offer a service that you sell, then you have complete control over the quality of the service. Finally, do not forget that selling tangible items is also a service too. It’s about speed of delivery, customer care, after-sales support. If your customer services are exceptional, that goes a long way to building a brand. So you’ve been working hard to perfect your overall offering. This makes the next step so much easier – getting the word out there. When you have an offering you’re proud of, that you know is something noteworthy, it’s just so much easier to market. Get onto social networks, start Adwords campaigns, explore all types of marketing and advertising channels. Because you’ve been perfecting you’re offering, let your target market know about the improvements you’ve recently made, about recent product reviews / testimonials you’ve received – that kind of thing. It’s about starting a conversation. This is the truly difficult aspect of going from small to big – handling the extra demands of your time. When scaling up, there is a feeling that you are losing control of your business. All the small-scale comforts disappear, often replaced by bigger costs and bigger risks if things go wrong. This comes back to the first point of this article – the desire to be big. You will face a lot of discomfort in the transition from small to big, but your desire will see you through if it’s strong enough. And having said that, being a big e-commerce business isn’t all about perpetual growth (which is another myth that needs to be debunked). Many big businesses are happy to maintain a certain scale and grow “sideways” (moving into new niches, starting new subsidiaries) – or simply maintain their size, happy that their brand name is keeping their sales healthy. You just need to reach a scale that you’re happy to reach – if you’re not there yet, keeping growing. Growing pains are a lot worse when you’re growing fast. Slow and steady growth is a lot easier to manage. There’s no point in doubling your sales if it means your after-sales support truly suffers. So just grow at a pace you can easily manage. Try to grow intentionally and be aware of how your growth is affecting your business, by doing this you will prevent your growth from hurting your brand. I too agree with you that to turn a small e-commerce business into a big one it requires the strong desire to want this to happen. Hard work and dedication, like any other online business! Thanks for the visit, Nitin and good luck to you! Social media sites like Facebook and Twitter can play an important role in making a small eCommerce business into a large one . There are millions of people using social media sites at a time , hence appropriate social marketing techniques can help to bring tinnes of traffic to the small eCommerce site . Thanks for sharing the information Adam . Social media marketing can be an effective and cheap way to promote your online business. I agree with pramod, Now if your business is small no problem you can take a help of social media. This will make a impact for you business. A great impact! I should add! Thanks for the comments guys, glad you enjoyed my post. It’s true, the most important thing is that you really want to grow your business. If you don’t want it badly enough you won’t have the motivation to make it happen! Thanks for being a contributor, Adam. We all know that run an E-commercial, even a small one is really hard, to get it to success. Your post can encourage all people who feel tired in this competition. Thanks for the comment, Stephan! You are indeed a genius in this industry, keep doing good sir. The above tips are really helpful in turning a small E-commerce business into a big E-commerce Business. I really like your way of motivating. I shall also keep in mind the above mentioned tips and secrets, which are really helpful in promoting a small scale business. Thanks for the comment, Angelina! You are welcome Erik Emanuelli, It is my pleasure. I was just thinking about the tips, which have been written by Adam in a very beautiful and easy way….. I agree with you on developing a brand is very important for a successful e commerce business. Now people are more inclined toward on line shopping. A customer friendly website also play an important role in e commerce business. 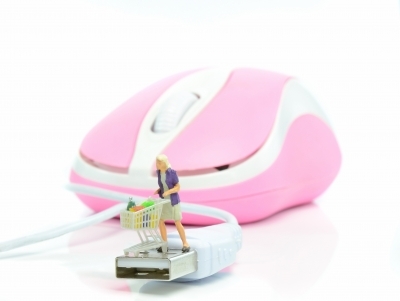 you need to inspire trust to customers, that’s another hint for a ecommerce site succeess. consistency with their marketing efforts…especially in the beginning. I’ve had a lot of success with social media sites. Social media really helps a lot, it’s an affordable marketing method! Thanks for your comment here, Lorie. Like you said in the beginning the key question you should ask yourself is whether you really want to go big. For many people going big would defeat the whole purpose of why they decided to get into business in the first place. That main purpose for many people is to work less and make more. While going big they will definitely be working more and that might not appeal to everyone. You should go big only for the right reasons and not because of monetary incentives. I like how you explain how “big = brand”. I never thought of it like that before. Great article. Thank you for sharing this valuable information. This facts help everybody to turn their e-commerce business to big.